* NO PROMS/AFTER-PROMS, NO UNDER 25! The first floor consists of a 1000 Sq. Ft. game room including a pool table, shuffleboard table, foosball table, a wet bar a fire burning stove and 50” flat screen TV + Gorgeous Kitchen with 16 foot ceilings and other features. The Second Floor has another large 700 sq ft Living space with a large Balcony, a 65” Flat smart TV, a library with a Poker table + other games. Outside we have a large Patio with an 8 burner Event grill, large patio, a 36’ foot long 9 foot deep (on deep end) pool, available to guests only. + several acres of private property. 10 Foot Farm Table with benches + a 6 foot collapsable table with additional chairs available in pantry in the dinning room. A library stocked with books is available for your use. Stone patio with outside seating + table perfect for outside eating or hiding form the sun. everything is as shown in pictures, we came up with 3 other families and really enjoyed our stay. Will be coming back this summer! Boris is a great host. We were pleasantly surprised by the size of the house and the features. As there were 17 of us, the pool and the grill were often in use, as were the pool table and foosball table. Unfortunately the jacuzzi was not working, but that was a minor inconvenience. The house was clean and ready for all of us. The local area has many attractions and activities. We would definitely consider this property in the future. Great stay, exactly what we were looking for! We were a group of 23 people from six families, ranging from ages 70 to 1, and stayed for three nights. The home really enhanced our vacation, and was enjoyed by all. There were various seating/entertainment spaces and amenities (pool table etc) that suited the various age groups. The kitchen and large outdoor grill were fabulous, great for cooking, which we did a lot of (we are foodies). The dining area was excellent as well. The house fit us comfortably; note that some bedrooms are conversions from living spaces, and one lacked privacy (had french doors and off of the kitchen). I would classify the house as being more rustic than luxurious, which was good for us as we had small children and didn't want to have to worry too much if they weren't perfectly clean. Regardless, there are a few small things that would enhance the property even more (better blankets, trash cans in the bedrooms, supplies of shampoo & body wash, more towels etc), but these are minor quibbles. Boris was responsive and helpful. 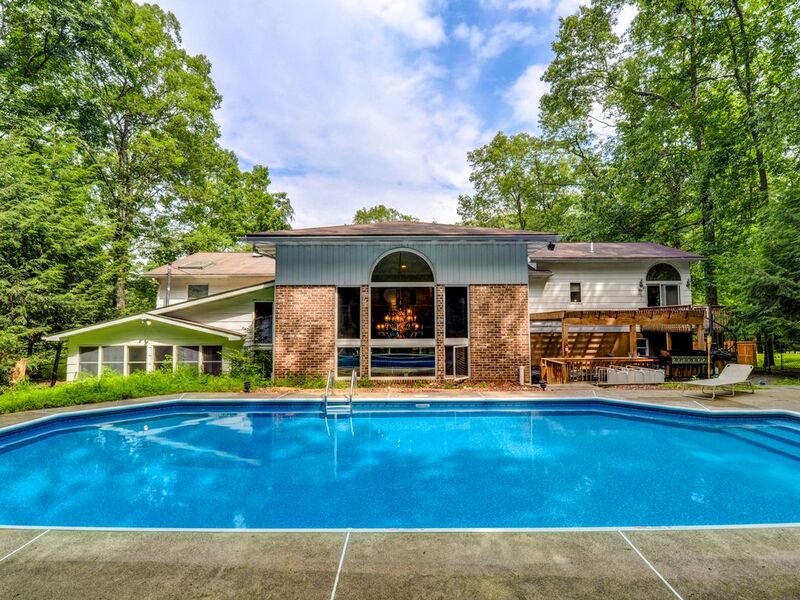 Location was good, quiet and private but easy access to shopping and recreation (Bushkill Falls is 10 minutes away). Overall a great stay and highly recommended! We had a group of 15, and Boris' place was the perfect size. Boris was a responsive host and the house had all the necessities. We enjoyed the secluded location. Overall a good spot if you're traveling with families/kids. Great house! Very clean and the owner was very accommodating to make our stay comfortable. Lots of room and huge kitchen, perfect for everyone to hang around. The pool was great and kids had a blast. John, was a pleasure to host you!